Takahashi FSQ-106ED @ f/5.0 (530 mm F.L.) Captured at 3.5 arcsec/pixel. Shown resampled to 17.3 arcsec/pixel. This image is dominated by Sh2-155, or The Cave Nebula, in the upper area of the frame. 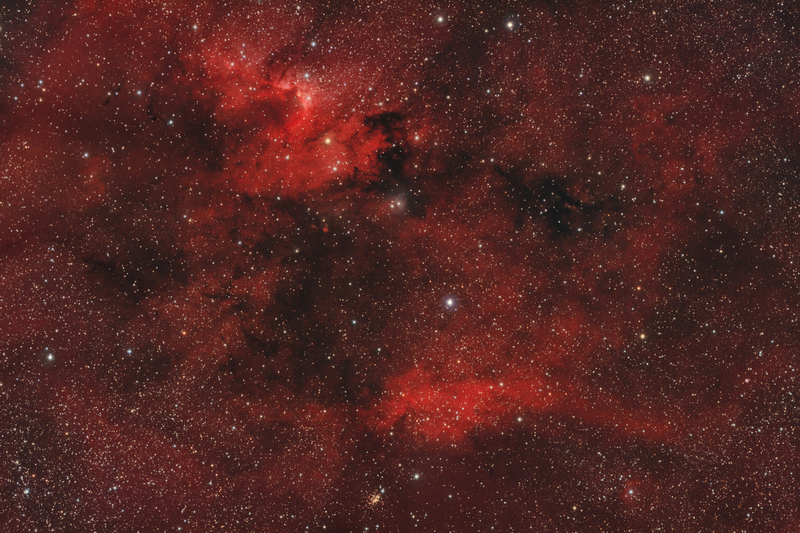 The faint large region of red double ionized hydrogen is in the constellation Cepheus. The bright area just above the bottom of the frame is the lesser often imaged HII region, Sh2-154. At the bottom, just left of center, is the open cluster NGC 7419.